The 2013 Oregon Occupational Injury and Illness Survey was released by the Department of Consumer and Business Services last week, and what it reveals about the incidence of workplace injuries in the private sector in Oregon during 2013 is interesting. In particular, this survey found that, in 2013, the rate of work injuries in the private sector slightly increased from those reported in 2012, as the 2013 rate of work injuries was 4.1 for every 100 full-time workers while it was 3.9 for every 100 full-time workers in 2012. A new report reveals that work injuries in the private sector in Oregon increased slightly in 2013. Here are more findings regarding 2013 Oregon work injuries. In 2013, there were a total of 45,156 work injuries reported from the private sector in Oregon. Of these, more than 53 percent resulted in the injured workers missing days from work, transferring jobs or having to have their job duties restricted due to the existing work injuries. Although the jump from 3.9 to 4.1 in the reported 2013 Oregon work injuries was greater than the national average of workplace injuries reported for the private sector, it was less than the rate of work injuries reported for the public sector in Oregon in 2013 (as this rate was 4.3 per every 100 full-time workers). The rate of 2013 Oregon work injuries in the private sector was the highest it’s been since 2009. From 2009 to 2013 on the national scale, the rate of work injuries in the private sector has declined by about 0.3 percent (dropping from 3.6 to 3.3). For 2013 Oregon work injuries in the private sector, occupational illnesses and work injuries that caused missed work days (or job transfers or limited work duties for injured employees) occurred at a rate of about 2.2 percent. Nationally, this rate was 1.7 percent in 2.13. While these findings regarding the incidence of 2013 Oregon work injuries are insightful, contact us for help with your financial recovery after getting hurt at work. In 2013, the most work injuries within the private sector were recorded by the agricultural industry, the forestry and fishing industries and the hunting industry, which all saw a rate of work injuries that was 4.0 per every 100 full-time workers. Following these industries were the transportation and warehousing industries, as well as the construction industry, which had reported work injury rates of 3.8 and 3.5 (respectively). The private sector industries that saw the lowest reported incidence of work injuries in 2013 included the finance and insurance industries (0.5), the real estate industry (0.8) and the education industry (0.8). The incidence of occupational illnesses and workplace injuries in Oregon is generally higher than the national average because there is a greater proportion of Oregon’s population employed in hazardous industries (like, for instance, the agriculture, construction, fishing and hunting industries). How many hours Oregon’s workforce works during any given year. Have you been at work? 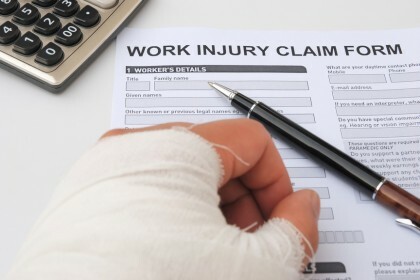 If so, you can turn to the experienced and trusted Portland work injury attorneys at the Savage Law Firm for help with your financial recovery. Since 1977, our lawyers have been devoted to providing each of our clients with personal attention, respect and the highest quality legal services. 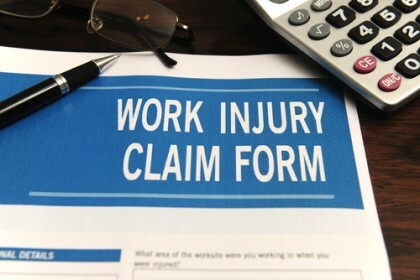 We realize how devastating work injuries can be on a physical, psychological and financial level. That’s why we are here to aggressively defend injured people’s rights to both justice and compensation. While this means that our Portland work injury lawyers will work diligently to help our clients tell their stories, it also means that our attorneys and dedicated staff will vigorously stand up to insurers and others outside of the courtroom to ensure that our clients are able to obtain the benefits and compensation they deserve.